A multidisciplinary collection of chapters on gender and sexual diversity (GSD) that moves beyond the LGBTQ(IA) acronym to include non-binary and heterosexual variation. It brings together academics, practitioners and activists from the UK, US, Canada, Russia and India. 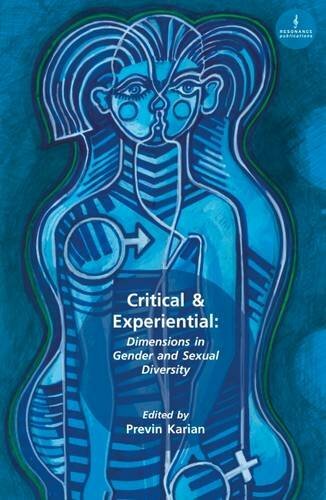 Critical & Experiential is a multidisciplinary collection of chapters written from within the newly emerging field in gender and sexual diversity (GSD) that moves beyond the LGBTQ(IA) acronym to include non-binary and heterosexual variation. It brings together academics, practitioners and activists from the UK, US, Canada, Russia and India working in the fields of psychology, clinical psychology, psychotherapy, psychoanalysis, counselling, sociology, cultural studies, political activism, legal consultancy and legal expert witnessing. The contributions are primarily aimed at mental health, psychology and psychotherapy practitioners and teachers, as well as those working with psychological aspects of social sciences and legal theory. The concepts of ‘critical’ and ‘critique’ are reframed throughout as experientially provoked thinking and thought. This collection provides a practical reference handbook to critique our range and styles of learning, teaching and interventions in the GSD field. However, it is also a stimulus to broader questions about mental health in the psychological organization of social and professional values that, painfully, still demand to be voiced, if not critiqued.